Offering you a complete choice of products which include Industrial Kilns such as Chamber Kilns and Electric Kilns. These are very small capacity continuous Kilns where the charge is set upon moving plates on the Hearth of the Kiln instead of a trolley traveling across a Tunnel Kiln. The fuel efficiency in these Kilns are very high because the heat absorbed by moving plates are very small as compared to the weight of car lining material and thus the fuel efficiency. To meet the diversified requirements of our prestigious clients, we are engaged in offering Gas Fired Kilns. These kilns are loaded with several quality features and specifications suitable for heavy usages at eateries, bakeries, restaurant, and confectionary shops. 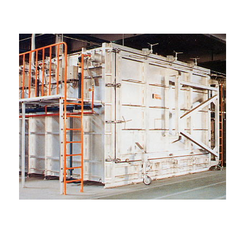 The provided kilns are fabricated utilizing stainless steel body sheet coated with fire and heat resistant paint. Moreover, the kilns are comprised of a microcomputer digital system that controls the heat and the circulation of temperature separately on the given trays in a moderate way. Fostered with vast industry experience and knowledge of this domain, we are engaged in presenting Tunnel Kiln. This kiln can be operated utilizing electricity. The multilayer deck assists independent heat flow that can be controlled significantly by the users. We are an acclaimed name in the market, engaged in presenting a superior quality array of Electric Kilns. 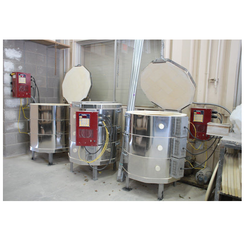 These kilns are equipped with microcomputer digital system, burners, and user-friendly panel. 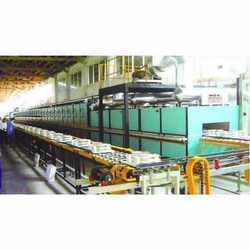 The provided kilns are manufactured using stainless steel sheet and frame which is coated with fire and heat resistant paint. The computerized digital system helps cut off the thermal source once the backing is over. Pioneer in the industry, we are engaged in presenting an impeccable range of Chamber Kilns. 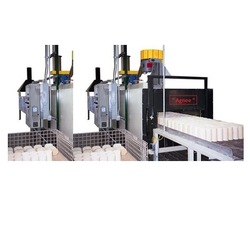 These kilns can be operated using thermal or electricity. The multilayer kilns support independent heat flow that can be controlled and specify by the users. It is manufactured using approved components, stainless steel robust sheet, and coated with fire and heat resistant paint. Offered kilns have microcomputer digital system controlling the flow of heat from one panel to another. As a well-known firm, we are occupied in presenting a wide range of Roller Kiln all across the nation. This product is extremely known by the customers for its longer service life and high durability. Also, presented product is perfect in finishing and accurate in dimension that increases its demand in the market. 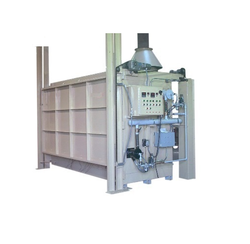 Agnee Engineering mesh belt furnaces and kilns are designed for the continuous processing of parts as well as advanced materials such as granular, powder, or particulate aggregates in high purity and specialty atmosphere environments at temperatures up to 2000°C. Our experience with a variety of belt materials, including mesh, strip, and chain, allows us to specify the exact design for your needs for an ideal thermal process solution.